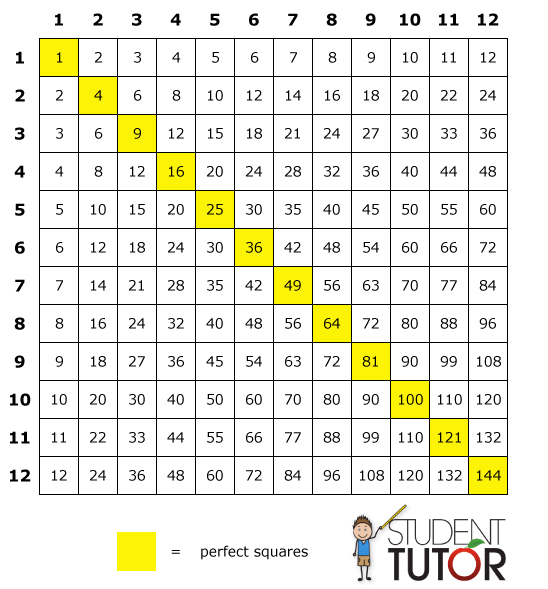 Why are multiplication tables important? Kids start learning multiplication in 3rd grade and need to master it quickly. Every other subsequent year in math and science rely on using multiplication skills without error or taking lots of time to think about it. Even in my high school Honors math courses, the kids who struggled often were those who were slower to compute these basic math facts. It was not that they did not know them, but they had to use more mental energy and time to come up with the answers. If a kid has to think about what 5 x 8 is, he or she is behind. Timed tests throughout K-12th grade will overtake and overwhelm a student who is slow calculate their multiplication facts. This is the same as saying 2 groups of 3 things. The total number of smily faces in all the groups is 6. Therefore, 2 x 3 = 6! Now there are 4 groups of 2 things. The total number of smily faces in all the groups is 8. Therefore, 4 x 2 = 8! Now there are 12 groups of 12 things. …I do not want to draw out that many smily faces! Now is where my memorization of the times tables comes in handy. 12 x 12 = 144! Practice makes perfect, so review, review, review! – The Times 2 Trick! This is easy. You just double (or add something to itself). – The Times 4 Trick! If you know how to double a number, this is easy. Just double a number and then double it again! – The Times 9 Trick! 5. This works for 9 times anything up to 10! So, 1 _ 5 becomes 165. 5. The player who gets all the cards, wins! * Be amazed at how quickly kids learn their facts when playing this game on a regular basis. And they’ll have fun too! Hello! To learn the times table it is often difficult to teach! Bob, thanks for sharing such a helpful resource!